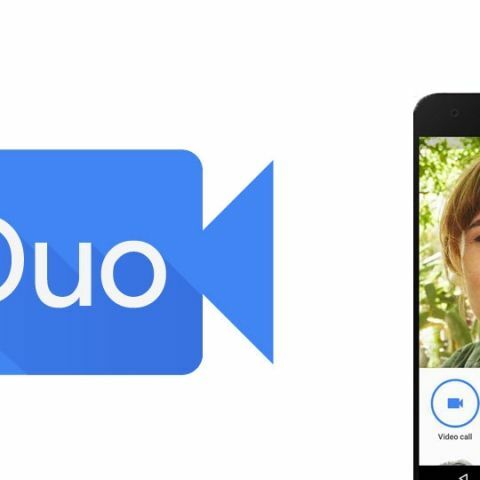 With much fanfare, Google announced its new video calling app Duo back at Google I/O in May. While pre-registrations were going on since the announcement, the official launch on the Play Store happened just last week. Even though some of the initial reactions were mixed, the Android world has since then picked up the pace on Duo. Chief Executive Officer of Google Inc.,Sundar Pichai revealed via a tweet that the app has crossed 5 million downloads in one week. While the 1 million mark was reached by 19th August, the remaining downloads have been spread out over the week and they picked up once the global rollout was complete. That statistic itself is pretty impressive, considering that Duo just entered a field full of strong competitors like Skype, Facebook video calling and is apparently well on its way to making itself the first choice among video calling chat applications. One of the main goals of the app allows video calling even on lower bandwidths by reducing the video quality without dropping the call. Call drops are also avoided while switching from Wifi to cellular data. And for all of this, it only needs to identify you by your phone number, much like the Whatsapp-way of operating. With Google’s hold on user data and the widespread use of Android, this actually makes it a very easy choice to make for users. And combining that with the interesting “Knock Knock” feature, that gives you a preview of the caller before you accept the call, it isn’t entirely surprising that the app is receiving such widespread attention. While iOS download numbers haven’t been released yet, that might change soon. The app currently only supports video calling, although Google has claimed that they are also working on audio-only calling on Duo as well. If you are one of the users who contributed their number to the 5 million statistics, do let us know what your opinion is about the app. Is it perfect or are there still kinks for Google to smoothen?